Holy… Keep up the great work. You should be nominated for Hero of the Ace Combat Universe. Will we be able to use the PS2 planes too? Would be great if we could edit the Morgan’s skin. How about Infinity’s assets? Sure. It’s only a matter of time. I was wrong, lol. Converting AC6 locations seems to be easier than AC4. Hey Razgriz, I really appreciate what you are doing. I have one question, have you ever thought of implementing Vulkan for Open Horizon? Cheers. Open Horizon utilizes OpenGL pretty well, I don’t think Vulkan will provide significant speedup and it will take large amount of time to implement, while I have more important tasks to do. Ah, I thought that would be the case. Anyhow, I wish you good luck on your endeavors. Here some more suggestions and a report. It’s quite long. So, about the multiplayer, we used customized colors and those appeared on our planes without issues. I can see the opponent’s colors too, without extra effort, which is a good point. With texmod, to achieve this same effect, I need to have his color’s texture and insert it as a separate, smaller texture. I still have the disconnection issue, though. Now about the mission editor. I have several ideas, and I wonder how difficult it will be to program. 1. Is it possible to have several different “scenario”s in a single mission? The idea is taken from AC6’s multi-objectives system. When you choose a different aircraft (and preferably, customized colors too for story canonicity), you will be handling a different set of targets. Sort of “linking” the aircraft’s data to the scripting? 2. Random radio chatters. A set of several different dialogues set to randomly trigger as the mission progresses or when an event occurs. This also includes AWACS’ weapon launch code such as “Fox 2” call from the games and the sorts of Infinity’s random “It’s a modded plane.” commentaries from the enemies. 3. How about a co-op created mission? 4. Group the created missions into a campaign, preferably, with branching story for certain scripts completed in a previous mission. 5. Maybe you can add an option or script to limit the aircraft’s choice (and colors) for the created mission? Now about the planes. I’ve been experimenting quite a bit with the provided .xml data. I’ve managed to switch the special weapons, like putting XAGMs on the Su-37 and MGP replacing the eight UGBs on Su-25. (You should try it, it’s devastatingly OP XD). I wonder if I could create a “clone”. 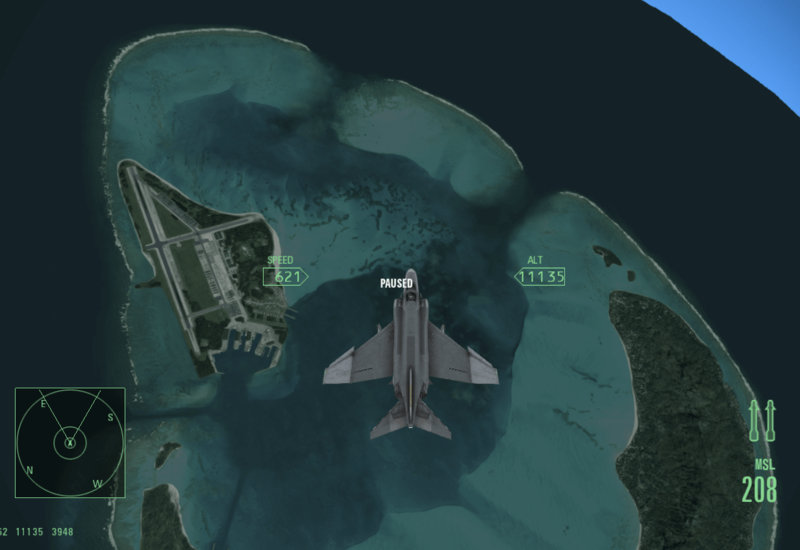 Some planes can be replicated simply by using a different set of special weapons, like putting LAGMs and GPBs on F-14D to turn it into an F-14B. I wonder if I can copy the data of F-14D, change the clone’s special weapons into A2Gs, rename the clone to “F-14B Tomcat”, and have both F-14D and F-14B as the result. Also, is it possible to change the aircraft’s name shown on the HUD? Like changing the shown “PAK-FA” into “T-50”? There is actually a problem with colors in multiplayer that I didn’t take into account. There would be problems with custom decals in multiplayer If players have different mods, game should calculate checksum and download opponent’s decals. 1. There should be way to determine player aircraft type from the script and also limit to specified planes. Will do it later. 4. I have this in mind. ACAH’s resources is not ready for weapon swapping. HUD icons linked to the specified aircraft, weapon attach bones have different height offsets, etc. There is also no need for cloning, importing planes from previous AC would be enough. Btw do you have an idea where to store user created content like missions and decals? Maybe some sort of wiki or booru. I think booru and wiki are very prone to vandalism. How about indiedb? I’m not sure if this could be categorized into ACAH Mod, but moddb apparently has an empty page for ACAH. There will be everything you need to create campaigns. I don’t have time to work on horizon lately, but I will work on features for making campaigns after I finish working on loading old locations. I forgot to ask another question – will we be able to do custom maps as well? Open Horizon will support custom locations format. I’m writing convertor to this format and will describe it on the wiki, but will not provide editor. Also I’m very busy and don’t have time to work on OH, the project is currently on hold. Oh no… Just when the best things are about to come to life… Even if you put it on hold for the moment, you won’t abandon it, right? This project is too good to be left to die, it’s a dream come true for some Ace Combat players. I’ll try to finish convertor before 2017.